How Much Money and Reputation Am I Losing to Piracy? Fill the form below to request a service quote. 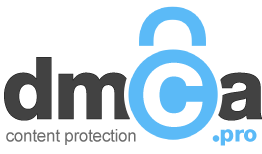 An experienced DMCA Pro team member will contact you to discuss your content. I am the lawful content / copyright owner of this material. I understand that by knowingly misrepresenting this material as my own, I can be sued for perjury and will be liable for any damages, including costs and attorney's fees of the wrongly accused infringer, the hosting online service provider and/or DMCA Pro. I represent and/or am associated with the copyright owner of this content. I have a good faith belief that use of this content is not authorized by the copyright owner. I have read and agree to the DMCA Pro Terms of Service.